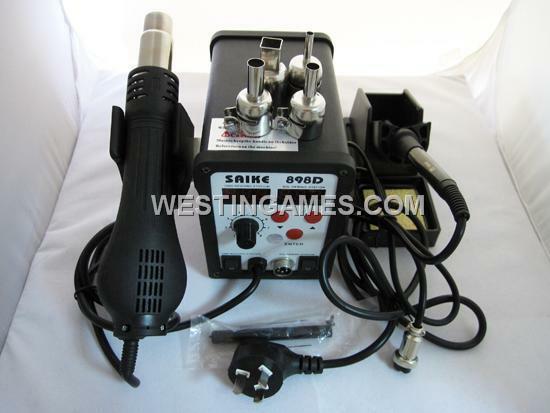 Saike 898D SMD rework soldering station is a highly cost-effective hot air station, which is the equivalent of a hot air gun and a soldering iron 937 (anti-static), focusing on use of the imported skeleton-type heating core and brushless fans. 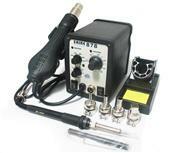 Not only used for computers and mobile phones, Saike 898D SMD rework soldering station also suitable for various of components' solding, such as: SOIC, CHIP, QFP, PLCC, BGA, ect, especially fit thewelding of the mobile phone cable and cable seat . 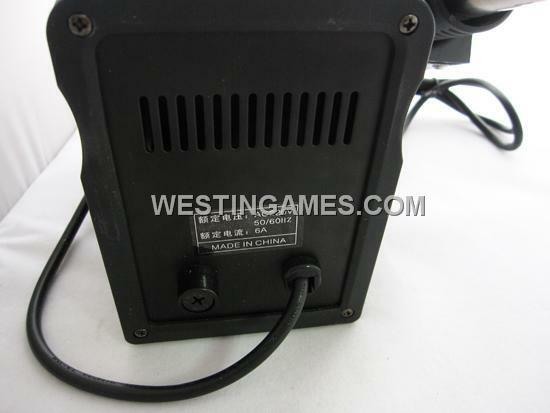 Saike 898D SMD rework soldering station has adjustable air flow, large and soft air flow, temperature regulated, used for multiple usages. 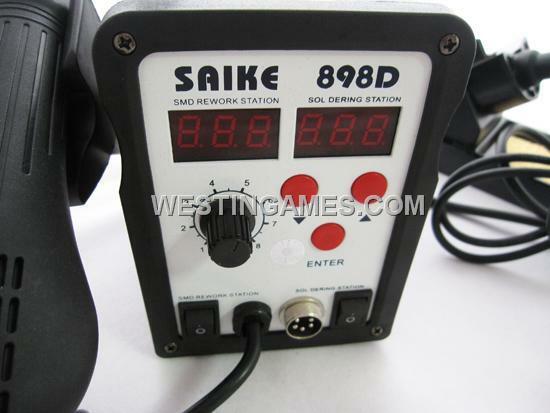 Handle with sensor switch, as long as gripping handle, Saike 898D can quickly access operating mode. 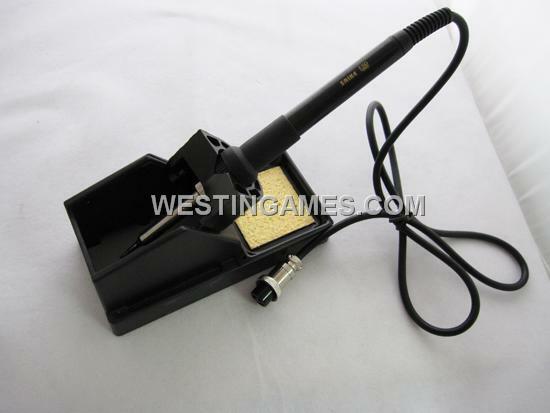 Handle released, the system will enter in the standby mode, real-time operating for convenience. 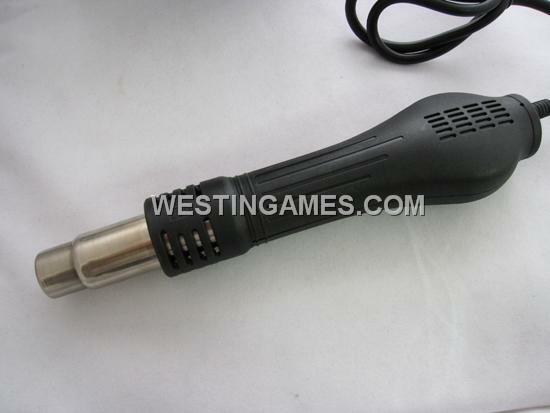 The system has automatic cooling function, which will effectively prolong the heater's life and protect the hot air gun. With extremely long-life brushless fan, extremely low noise, the efficiency can be doubled under the same power via high-quality heater which can effectively prolong the heater's working life and save power. This station is equipped with security protection. 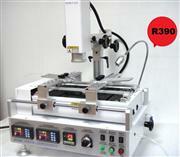 Dual digital-display two-in-one combo with soldering iron (respectively show the temperature of the solding iron and the air gun) . 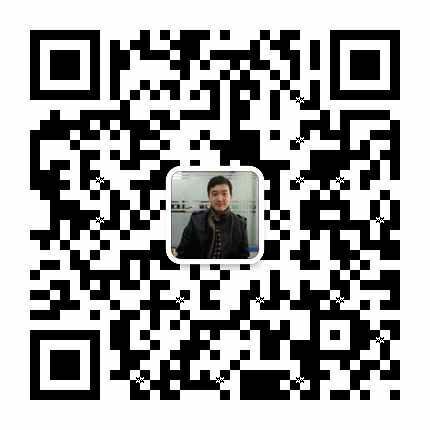 Used for shrinking, drying, paint, adhesive removal, thawing, warm, plastic welding etc, also for warming Small metal, machinery and body , relaxing fasteners. 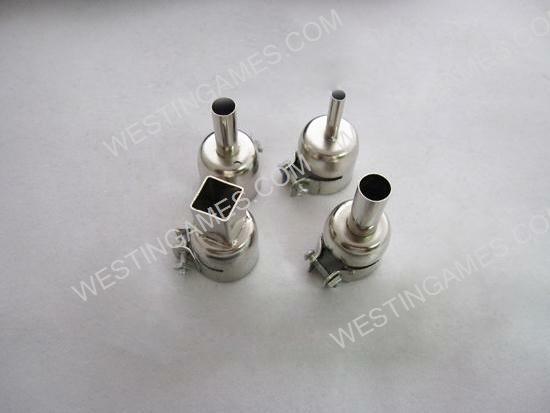 On the other hand, it can be used for the PVC coating, the waterproof canvas stitch welding, the roof repairing with asphalt and the sterilization or disinfection of animal cages with high-temperature. Used for the thaw of frost wood or frozen material, water pipes, mechanical body, the drying of Paint, filters, glue and all non-fire heating.